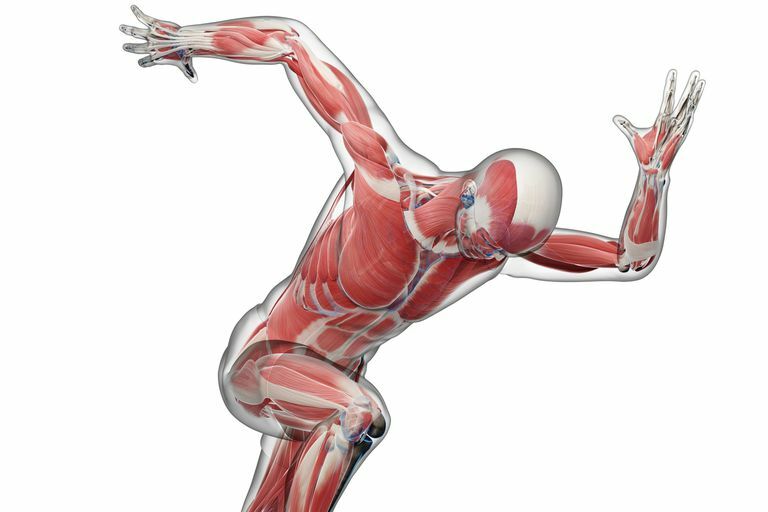 Biomechanics is the science of movement of a living body, including how muscles, bones, tendons, and ligaments work together to produce movement. Biomechanics is part of the larger field of kinesiology, specifically focusing on the mechanics of movement. It is both a basic and applied science, encompassing research and practical use of its findings. Biomechanics includes not only the structure of bones and muscles and the movement they can produce, but also the mechanics of blood circulation, renal function, and other body functions. The American Society of Biomechanics says that biomechanics represents the broad interplay between mechanics and biological systems. Biomechanics studies not only the human body but also animals and even extends to plants and the mechanical workings of cells. For example, the biomechanics of the squat includes consideration of the position and/or movement of the feet, hips, knees, back and shoulders and arms. Statics: Studying systems that are in equilibrium, either at rest or moving at a constant velocity. Dynamics: Studying systems that are in motion with acceleration and deceleration. Kinematics: Describing the effect of forces on a system, motion patterns including linear and angular changes in velocity over time. Position, displacement, velocity, and acceleration are studied. Kinetics: Studying what causes motion, the forces and moments at work. Sports biomechanics studies human motion during exercise and in sports. Physics and the laws of mechanics are applied to athletic performance. Biomechanics can be applied to individuals, analyzing their movements and coaching them for more effective movement during exercise and sports movement. An individual’s running gait or golf swing can be filmed and recommendations made for them to change and improve it. Biomechanics can be used in the design of sports equipment, clothing, shoes, and the fields and facilities where sports are played. A shoe can be designed for the best performance for a middle distance runner or a racket for the best grip. Biomechanics can study sports techniques and training systems and develop ways to make them more efficient. This can include basic research into how hand position affects propulsion in swimming. It can propose and analyze new training techniques based on the mechanical demands of the sport, aimed at resulting in better performance. Biomechanics can be applied to studying the causes, treatment, and prevention of sports injuries. The research analyzes the forces at work that can lead to an ankle sprain and how shoe design or the playing surface might reduce the risk of injury. Biological Science: Studies of human, animal, cell and plant biomechanics. Exercise and Sports Science: Applying biomechanics to human performance in athletics. Health Sciences: Researching causes, treatment, and prevention of injury and using biomechanics to design rehabilitation programs and equipment. Ergonomics and Human Factors: Applying biomechanics to human-machine interfaces, workplace, and functional designs and processes. A masters of science or doctorate in kinesiology can lead to a career in a biomechanics field, such as research and design by sports companies, athletic research and testing, workplace testing and design of interfaces between humans and equipment. A student of biomechanics will do coursework in physics, biology, anatomy, physiology, mathematics, and statistics. Laboratory equipment used includes force plates, electromyography, high-speed video motion analysis systems, digitizing equipment, accelerometers, pressure sensors, potentiometers, computer analysis programs, and modeling programs.